The last of the late, great Miranda cameras. According to some accounts I've read on the web, the relationship between Miranda Camera and its owner, Allied Impex, never resolved the Japanese/American culture clash. It was a long time in coming, but eventually Miranda folded. 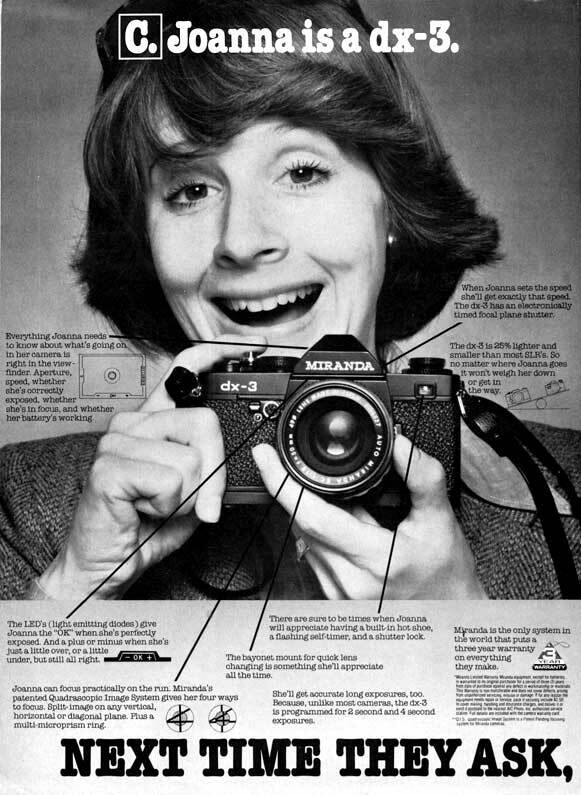 There was a revival in the 1980s when a British company bought the name, but those cameras were made by Cosina and simply badged with the Miranda name.